The founder and Principle Dentist of Concordia Dental, he graduated as a Dr of Dentistry from the University of Stellenbosch in South Africa, and has been in private practice for more then 15 years. Pieter works especially with people, who are nervous, have dental phobias or have lost their confidence in visiting the dentist. He takes extra time to listen in order to gain a better understanding of your needs and concerns. He will tailor a personalised care plan to resolve any problems you may have so that you can experience the happiness of perfect dental health, giving you the confidence to smile. 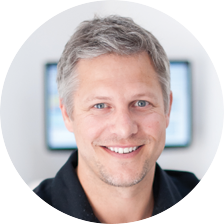 Pieter can carry out all aspects of general dentistry and has a keen interest in cosmetic, restorative, orthodontics and implant dentistry. Pieter lives in Brighton with his wife and their 3 daughters. He enjoys a variety of activities in his spare time including golf, tennis and surfing. Dawn qualified at the Birmingham Dental Hospital in 1981. She is a caring, friendly and gentle hygienist. Dawns approach is to offer a personal service working together with her patients to achieve optimum dental health. Ann has worked in dentistry for over 16 years as practice manager, receptionist and, since 2008, a Registered Dental Nurse. Ann is married with 3 grown-up children, grandchildren and she enjoys travelling, badminton, socialising, cooking and watching football. 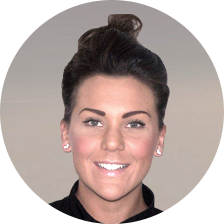 Lauren has worked in dentistry for over 5 years and has a City & Guilds Level 3 Diploma in Dental Nursing 2013. Lauren also has a BA honours degree in Fashion Promotion 2010. Lauren enjoys socialising with friends, shopping and going on holiday. Sarah completed all her training as Business Consultant, Professional Speaker, teacher of music and district nurse in and around the south coast. Concordia and Sarah have worked together on many occasions over the years. ‘Emotionally Intelligent Leadership’ is Sarah’s specialist subject. Sarah & Paul were married in May 1984 and have 2 grown up children. Hobbies include caravanning, walking, cycling, reading & music. 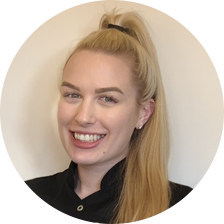 Emily is the newest member of the team and is currently completing an apprenticeship to gain a Level 3 diploma in dental nursing. Emily has already been to college where she obtained three A levels. She enjoys going to the gym, socialising with friends and eating out.